Disclaimer: this is my first “real” bloggy post, none of that faffy introduction to me business. 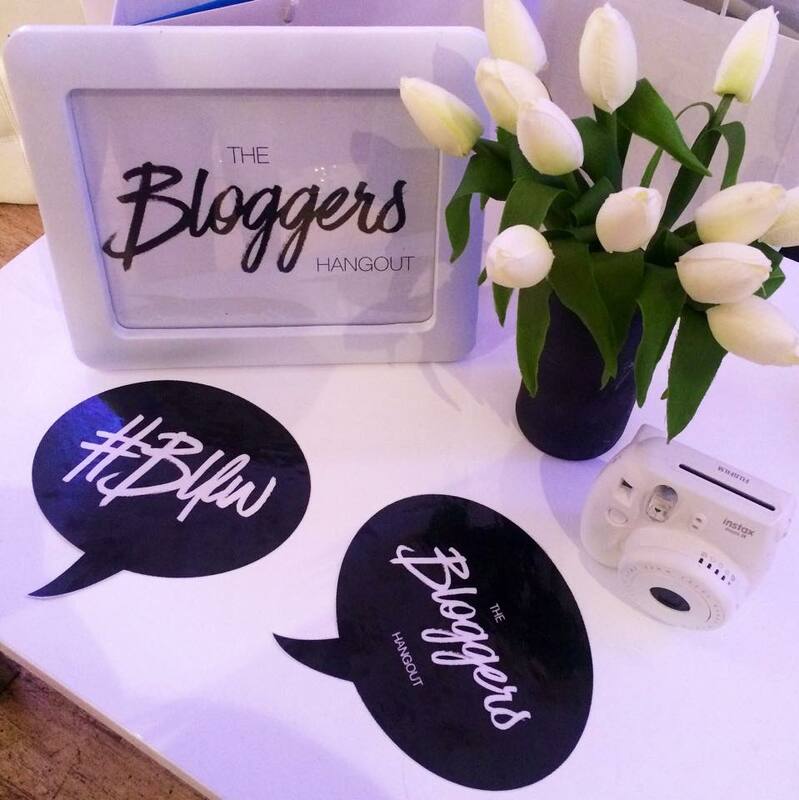 My first review of an actual blogger event, so I am a little nervous. 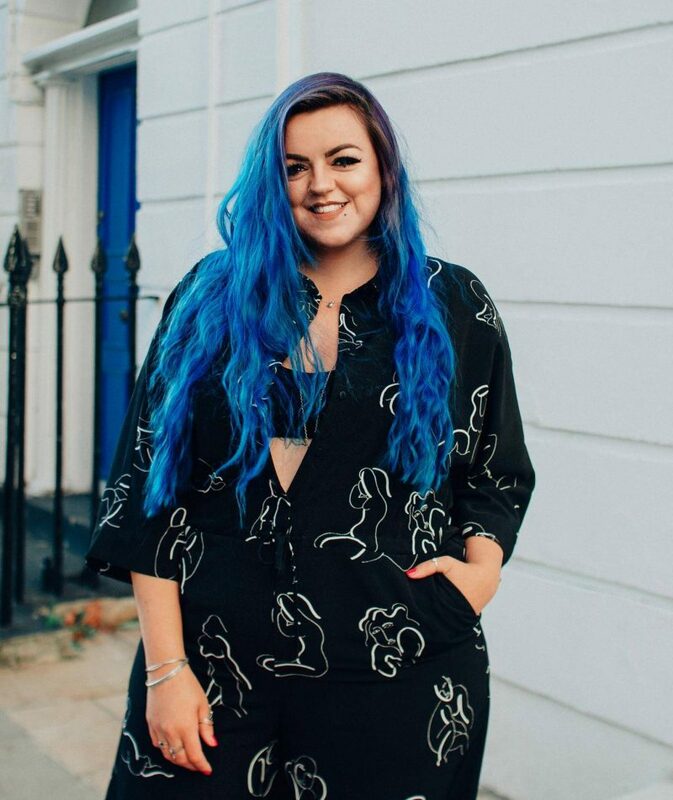 This event was a big’un with a whole load of brands to meet (and consequently write about in a fun and informative way, I hope), and is one of the main reasons I decided to get stuck in with my shiny, brand spanking new, ‘Eat Sleep Luisa Repeat’ blog! With that in mind, please bear with me whilst I find my feet a little… And please feel free to comment with absolutely any constructive criticism – it will be greatly received! 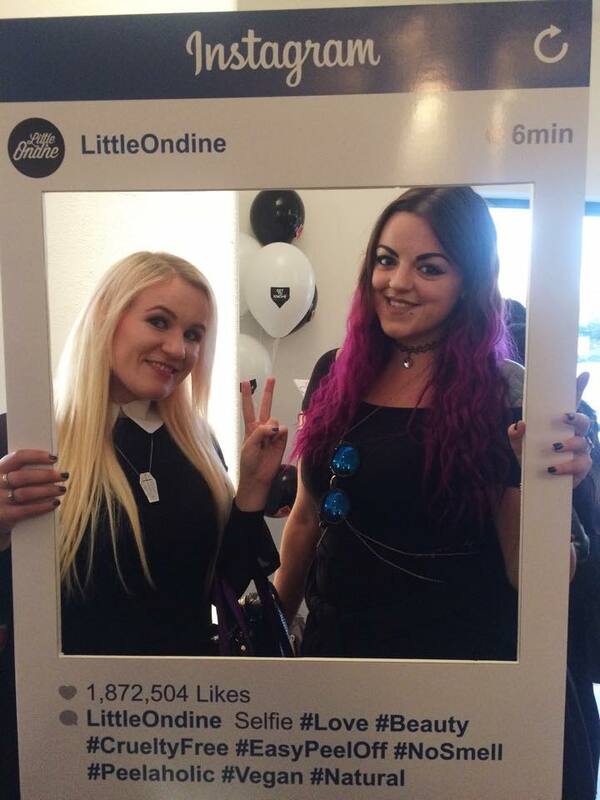 So, here goes nothing… Early September I was invited along by my lovely friend Lissa (Girl At The Rock Show), to ‘Bloggers Love Fashion Week 2015’ – an event run by The Bloggers Hangout prior to the start of London Fashion Week. Other ladies I knew were in attendance were, Lauren (Saharasplash), Sadie (Life and Rags) and Tessa (Holly Sparkle), as well as Lissa’s +1, SJ. The event was hosted at the OXO2 Tower on the Southbank of the River Thames, and upon arrival we were treated to an absolutely stunning view of the sunset. There were two sessions, an afternoon one: 12-3pm and the other, an evening session: 6-9pm – which is the one I attended. The event was an opportunity for brands, some known and others not, to showcase their existing products and new ranges, some were incredibly generous and gave out samples, or full size products – I left with a large bag of goodies and have had a lot of fun trying things out! There were also beauty brands such as Benefit doing treatments and a catwalk show. 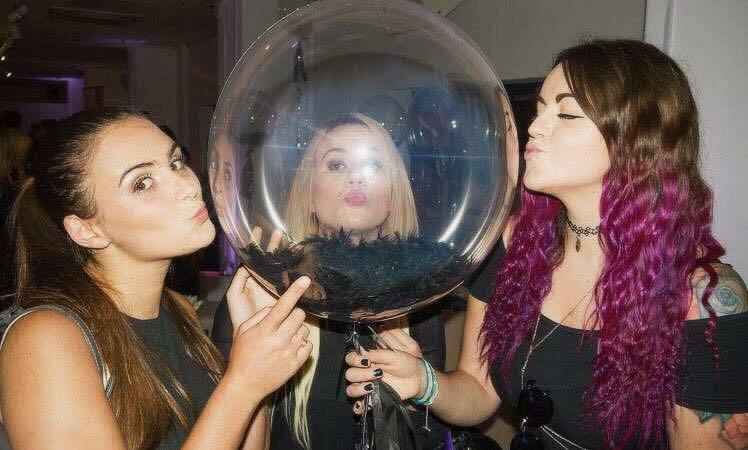 Not only was this is a great networking experience, to meet other young and vibrant people in London, there was also the opportunity for brand discovery, and both myself and the girls I were with had a great time. I would highly recommend attending one of the Blogger Hangout events if you enjoy reading this blog post. 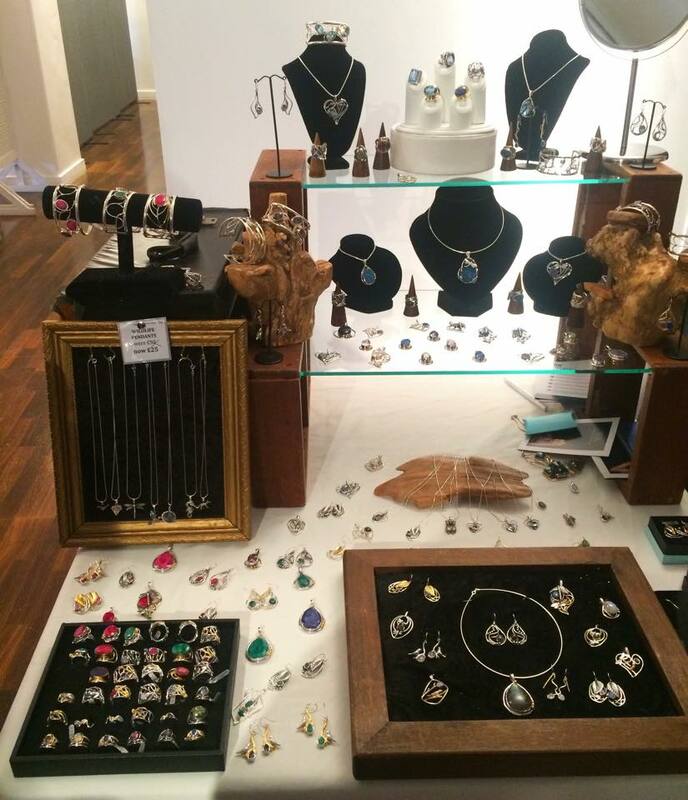 A couple of brands (which were all completely new to me) that stood out for me in the gifting lounge, were: Nadia Minkoff (jewellery), Miglio (jewellery), Gallardo & Blaine (jewellery), Maison Ves (candles), True Brit (nail varnish), and Little Ondine (nail varnish). Nadia Minkoff was a brand new discovery for me, Lissa was keen to show me the range as she had her eye on some Glass Skull Earrings. 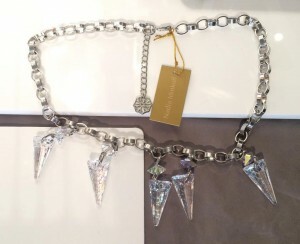 However, I was completely taken with this beautiful Crystal Shard Statement Necklace (£86.40) – made from Swarovski Crystals! 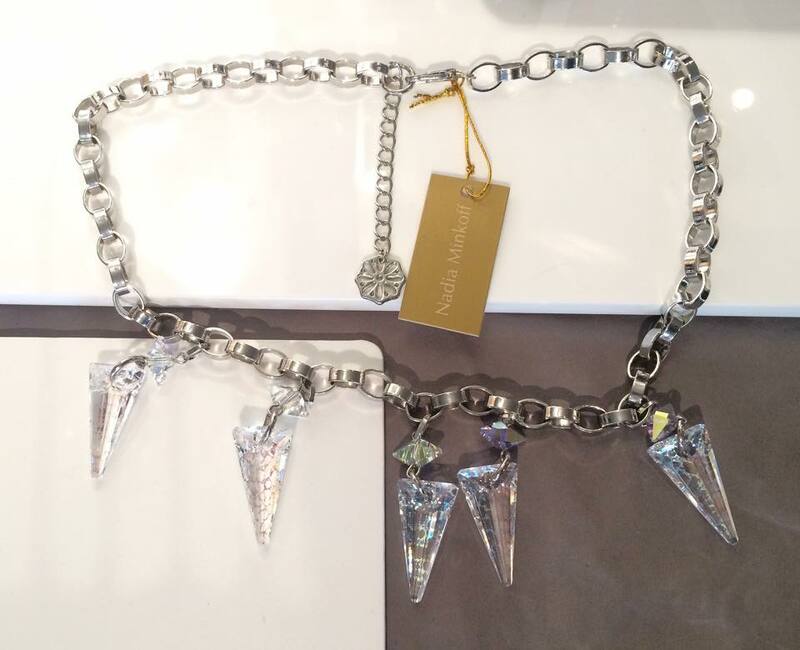 When approaching the table Nadia saw my eyes light up and thought that the necklace would suit me… Great minds ‘ey! Nadia also offers other quirky jewellery styles, as well as classic styles and beautiful bags! 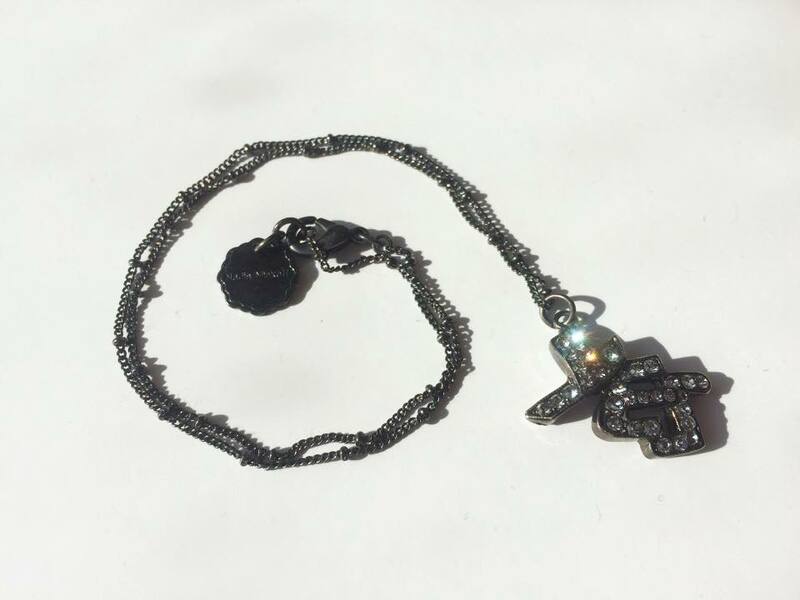 She was incredibly generous at the event and I came away with a cute, dark silver chain necklace with a sparkly pendant saying “YES” on it (fitting for me as I have tried my very best to be a yes person since moving to London – allowing me to experience so many fun things and meet lots of new people). Thank you Nadia! Gallardo & Blaine have created a stunning range of sparkly pieces, with silver and gold plating, perfect for a Magpie such as myself. I see sparkles and I am there… I must have spent a good 15 minutes browsing the table on arrival, as you can see, there was a lot to look at! 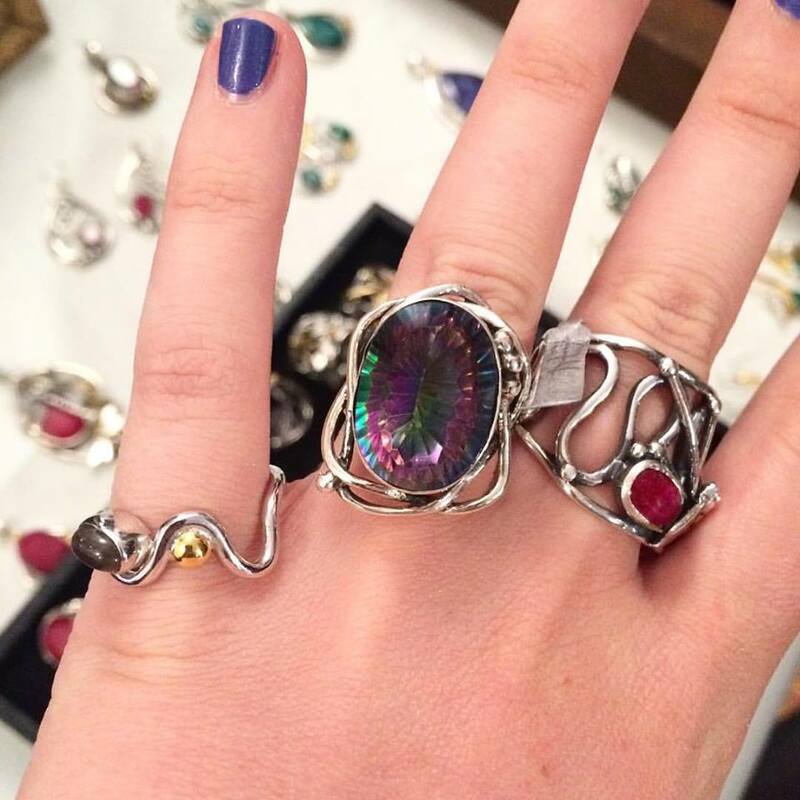 Some more rings available, featuring stones Madelaine Gallardo handpicked whilst travelling the world, are shown below on Lissa’s hand: (left to right) a Heartbeat Ring (from £32 dependent on stone), a Whirlpool Ring (from £85 dependent on stone) and a Tempest Ring (from £56 dependent on stone). If you know me, you’ll know that two of my favourite smells/flavours are vanilla and coconut… I also absolutely love candles and nearly always have one lit up on my mantle piece in the evening. So for me this brand was an absolute winner. Bloggers were gifted a vanilla and coconut candle which included the hashtags: #BLOGGERSRULE #SAYITWITHHASHTAGS and #MAISONVES! As you can see from the picture below, it looks perfect on my mantle piece amongst my Cherry Blossom fairy lights. ‘Ondines’ are goddess like beings, associated with the elements – mainly water. They symbolise females and were referred to in Ancient Greek philosphy. 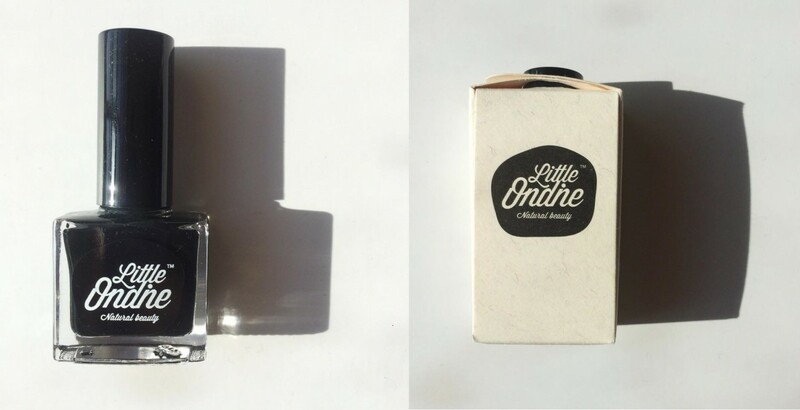 The Little Ondine nail varnish products are made from natural ingredients: natural resin, organic colourants and water. The minerals are sourced from all around the world to allow for pure colours in the smooth, shiny polish, so the brand name is very fitting! Now, the bespoke USP of this brand, isn’t only that it’s made with organic goodness, it’s that it peels off, yup PEELS OFF – hassle free glam for people always on the go. I know what you’re thinking, “oh I remember them from when I was a kid, surely the colours are rubbish and it looks really tacky”? Well my friend, you are very much mistaken. Although a novelty idea, the product is a strong contender for my favourite varnish brand. I have hoards of unloved nail varnishes, especially sparkly, because taking it off takes twice as long as it does to paint them. Cotton wool gets stuck in amongst glitter and it’s a chore (which sometimes results in me picking at my varnish in the hope it will chip off and I don’t have to go through the drama of actively taking it off – wishful thinking!) Little Ondine polishes, both the shiny ones and the sparkly one peel off without hassle, and the ingredients are hydrating, so you aren’t left with dry, flaky nails underneath. Prices ranges from £7.56 in the sale (originally £8.40) for more basic colours (eg. Propose), to £17.40 for Miss Moonlight (which is my ultimate favourite) – which contains real silver! They very kindly gifted me with: Back To Black (£8.40) – channeling my inner goth, but not committing so much that it will be a problem to peel off should I need to at the last minute. 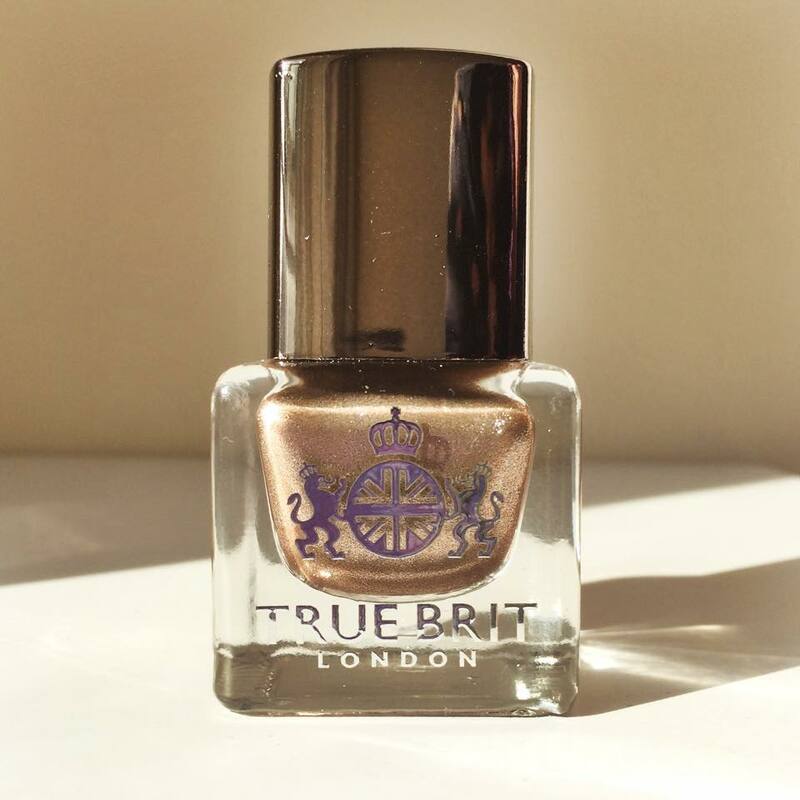 Last, but not least was the vibrant coloured ‘True Brit’ nail varnishes. With all varnish names, having names that wonderfully British… Some of my favourites include (all £12.50): Brighton Rock, obviously (cerise pink), Bond Street (Pink iridescent pearl shining through a violet base), Chelsea (a rich cobalt blue, blended with decadent pearls), Golly Gosh (intense neon yellow) and Polo (intense indigo, blended with decadent pearls). The formula for the varnishes contain Vitamin E, elderflower and rose extract, so it’s a lovely chance to pamper your nails without an extortionate price tag! Their website is lovely to have a browse of even if you’re unsure about purchasing, the social tab is great and they even have a blog too! The brand were offering free manicures, but unfortunately I wasn’t able to take advantage of this as my nails were freshly painted. However they were kind enough to gift me Heirloom – a beautiful mirror like effect varnish with a hint of rose gold – so stunning! Massive thanks again to The Bloggers Hangout and companies with stalls for such a great event, with so many items to look at, brands to meet and other friendly humans to network and socialise with – it was an absolutely wonderful evening, thank you for having us.